To be used with Perfect Sense Paraffin only. Using no electricity, this compact chamber heats the single-use, disposable paraffin treatments naturally using water and food-grade minerals in just 5 minutes. The PerfectTemp system melts paraffin directly into sealed gloves or slippers at the perfect 122o temperature and protects clients from burns. 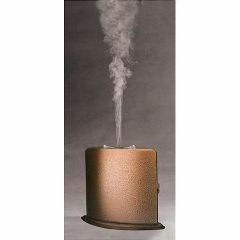 Provides AromaVapor therapy during the heating process with your choice of pure essential oils. Designed for professional use only, this attractive, portable heating chamber is available in two finish colors: Hammered Copper or White to complement your decor.